Looking for a low-cost way to promote your products, brand, or business? Increase brand awareness with affordable, high-quality vinyl signs and banners by your local Long Island sign company, Genesis Signs & Graphics! 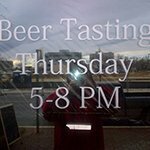 Vinyl signs are one of the quickest and easiest solutions for any business looking to attract more attention to their storefront or business. From creating impactful window displays to attractive vinyl lettering, murals, or banners, Genesis Signs & Graphics has the high-impact vinyl signs and banners that will get your business noticed! We provide smart recommendations, design, manufacturing, and installation services to ensure that your marketing message is not only properly displayed but helps create the right image for your business to continue growing. If you are looking for a trusted sign company for your marketing needs, Genesis Signs & Graphics is a partner you can count on! Call Genesis Signs & Graphics at (516) 269-8156 for your Free Consultation with a Vinyl Graphics Specialist! 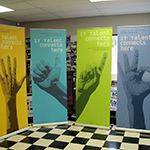 Vinyl banners are our most versatile option both in function and design. From simple directional support to large-format show-stoppers, banners can be utilized both inside and outside your business, or as a promotional tool off-site. Promote your products and services with eye-catching high-quality banners by Genesis Signs & Graphics. Lightweight and portable, banners are an effective promotional tool for off-site uses such as at tradeshows or expos. Easy to set up in a matter of minutes, they can be easily packed up and stored away the moment you are done for the day. Extremely durable, banners can withstand the harsh weather, allowing you to take them virtually anywhere you need to go! Looking for a new way to advertise a product? Consider using vinyl to highlight your new and hottest products. Vinyl is a quick and efficient solution that allows you to attract the attention of passersby or instantly upgrade the look of your space. 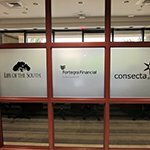 If your facility has spacious windows and doors, you can take advantage of that space with dynamic, eye-catching vinyl window clings. Vinyl clings use static electricity to adhere to glass surfaces, making them easy to remove without leaving a sticky mess behind. Vinyl film uses an adhesive, and are a fantastic option for permanent displays, such as privacy film. Privacy film allows you to distort or hide the interior of your facility, or of specific rooms or areas within your business. We create etched and frosted panels that have the appearance of glass panes, but without the expense and permanence. 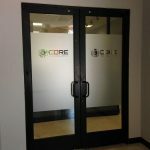 Cut vinyl lettering is a fantastic way to add vital business information to your doors or windows. This could include your hours of operation, wifi availability, business licensing numbers, and even your business name or logo can be greated using cut vinyl graphics. Not only do they allow potential customers or guests to quickly find the information they need, it can also be that finishing touch you have always wanted. At Genesis Signs & Graphics, we believe that quality is everything, and our mission is to provide the quality that builds your brand and professionalism! Give the interior of your business a major facelift with attractive wall murals and floor graphics. 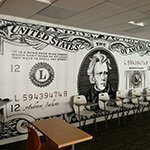 You can share inspiring and meaningful quotes, the history of your business, or create a pleasant environment in your office, highlight products you sell, or even provide directional assistance with arrows on your floors or walls. These highly durable vinyl solutions will withstand heavy traffic and are resistant to dirt, dust, and grime, making them easy to clean and maintain. 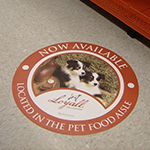 Used for wayfinding and navigation, floor graphics are a unique way to draw attention to your messaging. 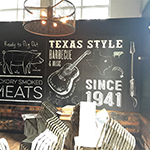 Whether you are seeking to promote your brand, attract attention to a specific area, or liven up an otherwise underutilized area within your facility, custom wall and floor graphics are a great way to accomplish this! At Genesis Signs & Graphics. we offer a wide variety of vinyl sign options so you won’t feel restricted when it comes to selecting the right colors, sizes, or finishes. We can customize them in any way you want, giving you the freedom to create something that fits your brand perfectly. Not sure where to start? Our knowledgeable sign consultants will walk through your ideas, goals, and needs to ensure you’re getting the right signs for your brand and business. Need cohesive outdoor signs, indoor signs, vehicle wraps, or a completely custom sign? Genesis Signs & Graphics provides every type of business sign you could ever need! As your local one-stop vinyl shop, Genesis Signs & Graphics handles every step of the sign design process, including design, fabrication, and installation to ensure you have a professional, eye-catching vinyl sign that builds your brand and promotes your business. We start with your free initial consultation, where we focus on learning about your business, goals, needs, and ideas. Once we have a set plan, our design staff will provide a mockup of your project for you to thoroughly review and edit as desired. With your approval in hand, our expert fabrication team will begin crafting your project for installation. For most of our projects, we provide professional installation to ensure that your signs are free of bubbles, ripples, and tears. 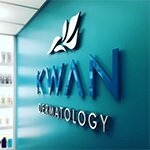 Get started on creating the professional image you want with our custom vinyl signs today! Our team of world-class and exceptional designers, fabricators, and installers have the skills, experience, and equipment needed to create high-quality, attractive vinyl signs, banners, and graphics that help you accomplish your market and business goals.